Shim, Young-shin Cho: She took the lead of the Korean independence movement through the Korean Women’s Association. She came to Hawaii in 1916 as a widow with her young son. She married Cho, Moon-chil who was a sugar plantation worker. 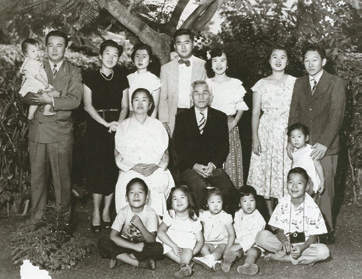 When the Korean Women’s Association was organized, she joined it. Purposes of such organization were to teach Korean children Korean education, boycott Japanese products and assist Korean social groups and churches. In 1919, Korean Women’s Assistance was organized and she joined it. When Kim Goo of the Provisional Government needed financial sup- port, she willingly sent $1,000. In 1941, she participated as organization’s representative to lead the Women’s Assistance in Hawaii. Rev. Lee, Dong-jin of Korean Methodist Church in Honolulu is her son-in law. She died in 1975. In 1997, the South Korean government posthumously recognized her with the Order of Merit of National Foundation / Patriotism Award for her unwavering dedication to the Korean independence movement.